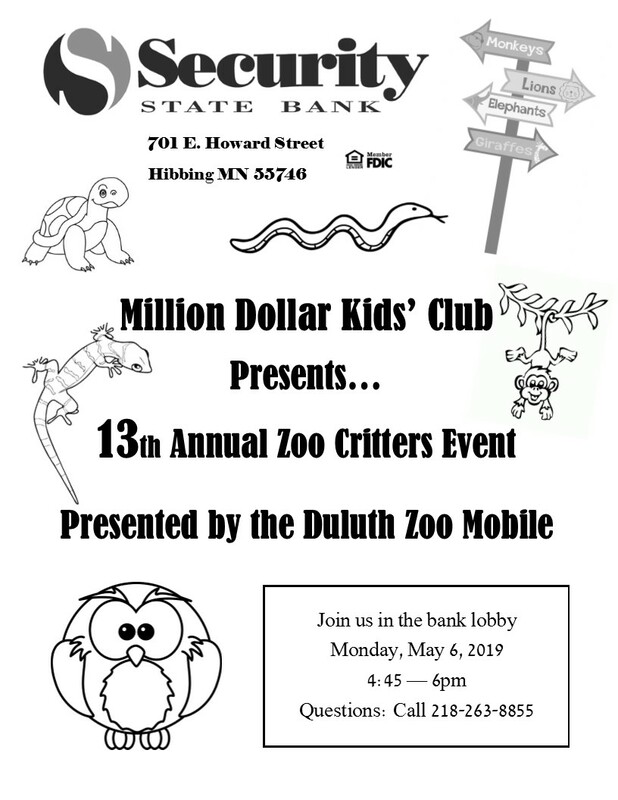 Join us for our 13th Annual Zoo Mobile presented by the Lake Superior Zoo! Monday, May 6th from 4:45 - 6:00 PM in the bank lobby. After meeting the animals make sure to stick around for our stuffed animal drawing!